+ Newly designed smaller footprint maximizes the efficient use of floor space. + Solid steel design that offers a strong foundation with a modern look. + Precision-cut metal weight stack shield for superior durability and visual appeal. + SmartCam technology with an improved strength curve and range of motion. + Add-on weight system, allowing 5-pound increments with just the turn of a handle. 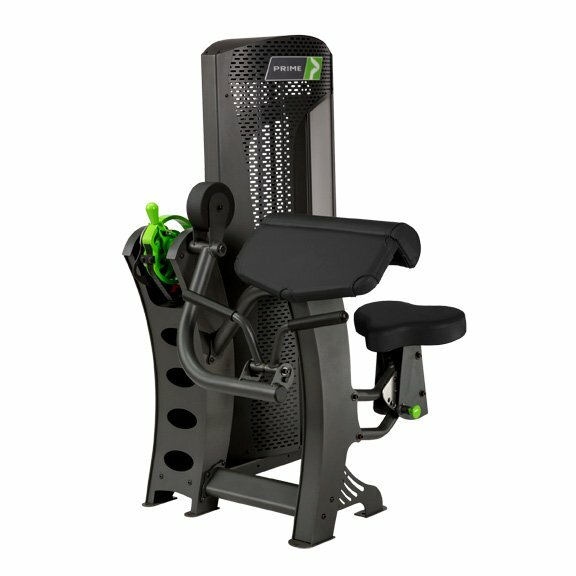 PRIME was launched in 2014 by Specialty Fitness Systems (SFS). SFS was a company created by Specialty Fabrication and Powder Coating (SFPC), who since 2009 was the sole manufacturer for STRIVE, a leader in the strenght training industry. STRIVE is best known for their innovative cam technology, which allow users a variety of resistance selections at different points within an individual exercise motion. With the resistance set at any of nine options on the cam, users can pinpoint a workout onto a specific strength of their muscle - helping greatly with spot muscle training, rehabilitation or just getting a total body workout faster. In early 2014, SFPC acquired STRIVE's cam technology and other patents and created SFS. Armed with the cam technology and a philosophy rooted in innovation, SFS launched PRIME. The new PRIME brand combines STRIVE's cam technology with SFS's innovation and manufacturing prowess to create three lines of selectorized machines: Evolution, Hybrid, and Legacy. Each machine boasts and the amptly named SmartCam™ technology, and each Evolution and Hybrid selectorized machine includes easy weight changing with a push-and-pull adjustment bar offering five-pound increments. PRIME also boasts a unique aestethic, with modern features like perforated metal weight shields, metal frames and eye-catching details.